The Castle Inn stands fully restored to it’s original glory at 1415 Prytania street within the Garden District of New Orleans. The Inn was constructed on a site that had formerly been a plantation during the early 1800’s. In 1848 a town home was constructed on the same property. The home was owned by a prominent local business man who would die just a few short years upon the town homes’ completion. In 1891 the property was purchased by Alva Schnitt, a German gentleman who was in charge of the New Orleans school district and the leader of a organization known as “The White Men’s League” somewhat similar in ideals to what we now know as the Ku Klux Klan. Originally constructed as a gift to his new wife, Schnitt oversaw the construction of the three story mansion personally. He too would succumb to some strange illness and would die in the home just a few years later. The mansion would remain within his family until the onset of the 1920’s depression. The financial burden of large New Orleans estates became too much for many to handle. Some of these home owners, including the owners of this home, would convert the property into a transient rooming house. The property would change hands several times until the 1950’s when purchased by the Allison family. It would remain within their family until 1998 when purchased by Andrew Craig and Karen Bacharach who would upon renovations, rename the property The Castle Inn. 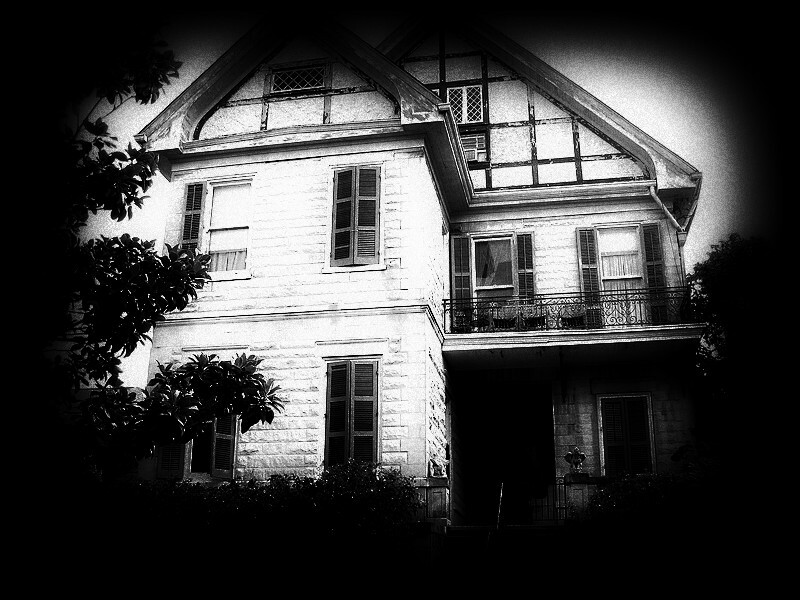 Several spirits are said to haunt the property some having a history with the original structure, others that are said to be connected to the properties which formerly graced the grounds. One is said to be seen and heard most frequently. A young girl that was said to have drowned in a pond that had been on the grounds of the plantation. She reportedly enjoys shaking the beds to keep the guests awake at night. There are claims that she touches female guests to get their attention. She can be both seen and heard giggling as she frolics about on the grand staircase. Another of the spirits is said to be a former paid servant who had resided in the quarters behind the mansion with the other slaves. He is said to be light skinned and dressed in the finest clothes available in his era. The Servant was said to be a flirt and a bit of a prankster. He was know to drink heavily and was a smoker. Legend states that he fell asleep while smoking in bed. He was too drunk to escape the flames when his bed caught fire consequently, he perished on the grounds within the slave quarters. Many say that this is why he haunts the mansion, the man felt that he did not belong with the slaves, but that he deserved to reside within the mansion itself. There are other reports of a carriage driver that could have been associated with the town home owned by Schnitt. He is said to appear on the front stoop as well as walking around in the surrounding neighborhood. There have been many reports made of encounters experienced by guests. Shaking beds, items disappearing and electrical devices turning off and on by themselves. There was one report of a complaint that the ceiling fan would not turn off. The “fan” was a dormant fixture, never wired to be used; its purpose was cosmetic in nature only. Missing room keys were reported found inside a second floor microwave and reports of showers and faucets running while in the “off” position are common as well. One guest claims that the spirit of the servant man had climbed in bed with her and was smoking a cigarette. Others claim that they hear the sound of a music box playing. The Castle Inn is a must for seekers of the paranormal. Just blocks away from Mardi Gras parade routes and a short walk from the streetcars, the Inn should be added to your list if you plan on visiting new Orleans! This entry was posted in haunted history, horror, urban legend. Bookmark the permalink.